This kit will allow you and your engine to breathe easy. Featuring a mandrel bent 4 inch LBZ style intake tube for massive air flow gains, with HSP's signature heat shield box eliminating unwanted hot air entering the cold air intake. For every 1 degree increase of intake air temperature will result in a 3hp loss. 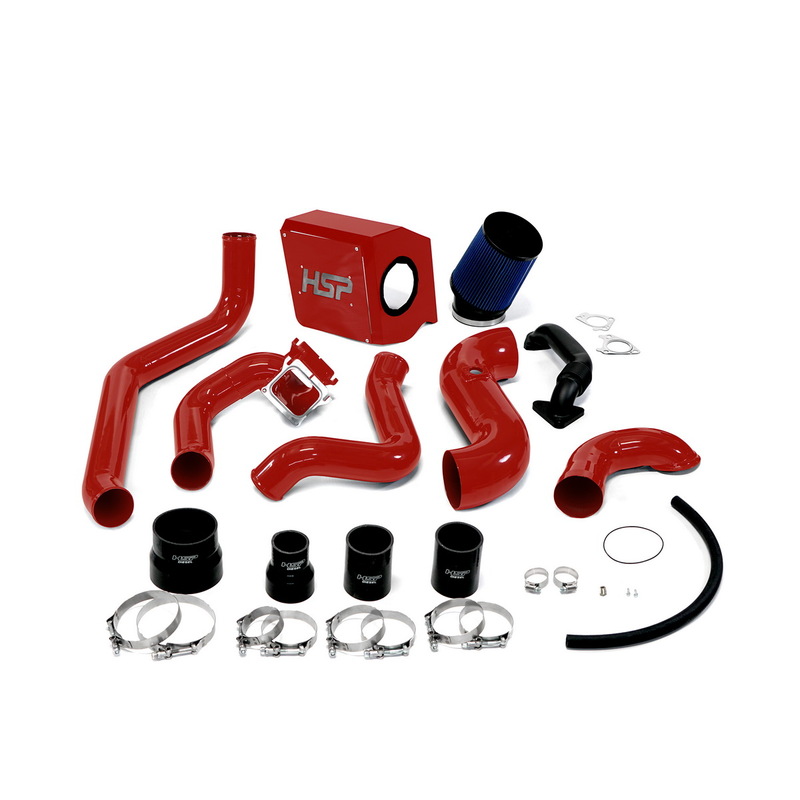 This kit also features HSP's high flow turbo mouthpiece. Our 3 inch cold side tube will ensure your engine gets all the air it wants. Our bolted together two piece Y-bridge will make installation a breeze and ensure a leak free seal that won't leave you on the side of the road. We have also included one of our 2 inch passenger side up pipes featuring .120 inch tubing and the best bellow on the market. The factory up-pipe is prone to failure at the riser caused by excessive heat and pressure.